If you read part TWO of this series about Joint Attention, you may already have an idea of why pointing is so important. But if not, let me tell you a little about pointing and why this skill is so critical for speech and language development and why you will see “Is your pointing?” on your well check questionnaires. …look at what he is looking at, which is your child establishing joint attention. And when you are doing all that taking…he is learning new words and new language all about the thing that HE is interested in! Pointing is SO important that I wrote an entire post on the subject. Head over and read it HERE. Sometimes, the best thing you can do for your child is to just be quiet and observe him. You will learn what your child is really interested in. When you just be quiet and observe, you will allow your child to be him self and explore the things that really interest and motivate him. These are the same things/activities that you will want to join in with him later as these are the activities that will provide the most motivation and opportunities for your child to communicate to you. If your child is not talking yet, I guarantee he is communicating to you. Often times as parents, we get caught up on our children using words when we first need to watch for how they communicate with us. Because once we are aware of their communication attempts, we are able to respond to our child and can then slowly work on the speech part. When you slow down, be quiet and observe, you might notice that when you finish spinning your child around in the air and put him down, that he gestures up, indicating that he wants more. When your child finishes his milk, he may look at the refrigerator, because he wants more milk and he knows that is where it is! Whether your child is not talking, is just starting to talk, or it putting words together, you will learn that your child communicates in various ways and being quiet and observing will help you catch these moments and respond. You will be giving your child the opportunity to initiate. 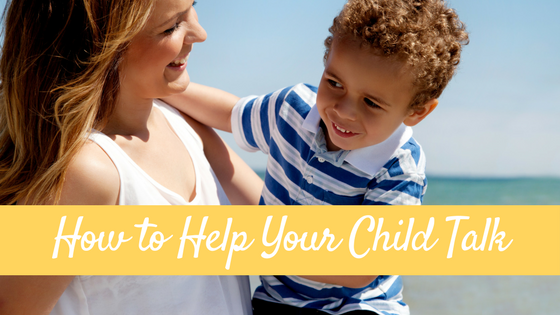 You need to allow your child to initiate interactions and conversations with you! If you are always talking you are not giving your child the opportunity to initiate. Initiating is communicating! Watch for his cues and then you can join in the play! “Is this normal?” I get asked this a lot. As a parent, you want to know if your child is developing “normally” and that is such a valid concern! Two years ago, my daughter woke up with sucj a serve limp that she couldn’t walk and it was easy for my husband and I to know that this wasn’t normal. 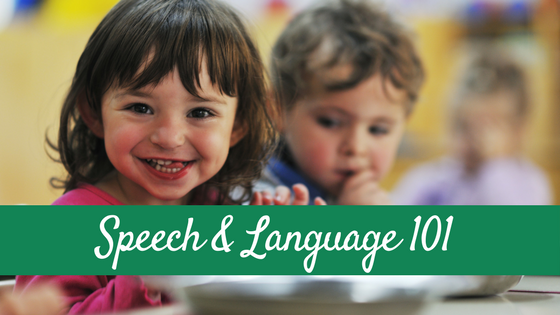 However when it comes to speech and language development, there is a wide range of “typical” and you will always hear things like “I didn’t talk until I was three and I was fine” and other such comments. Though some kids do talk late and are “fine” (I was one of those kids) there are some red flags that help us determine if a late talker might not just be a late talker. You can find a list of red flags HERE. Speech pathologists are pretty good at setting up environments for communication. We can come into your home and quickly set up some activities that will provide your child will opportunities and motivation to communicate. How do we do this, and how might you be able to do it at home? 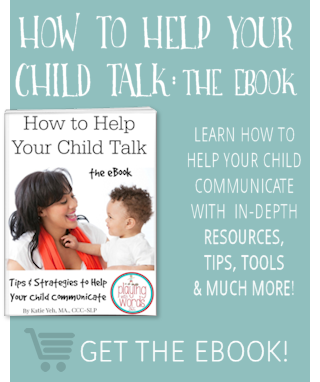 If you have a child who is starting to communicate but may be a little reluctant to do so, some of these communication temptations may he helpful. You can read about them HERE. Toys, toys glorious toys! 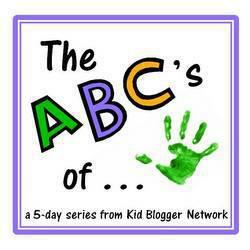 If you are familiar with this blog at all, you know how passionate I am about toys and language development. 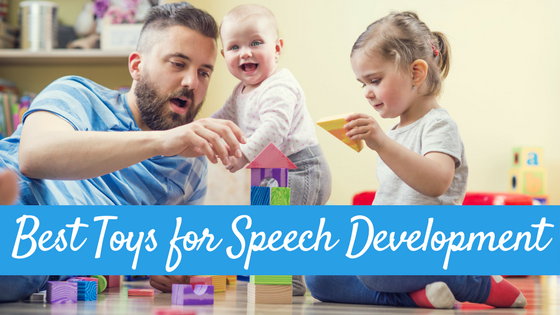 In fact, my friend Kim over at Little Stories, is also very passionate about what toys that will (and won’t) help expand your children’s speech and language development. 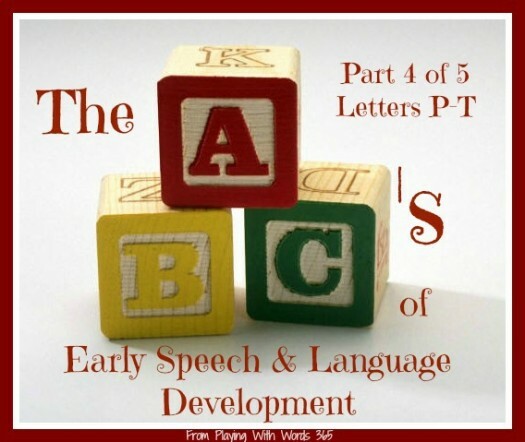 First, I’d like to share my Best Toys for Language Development Series. 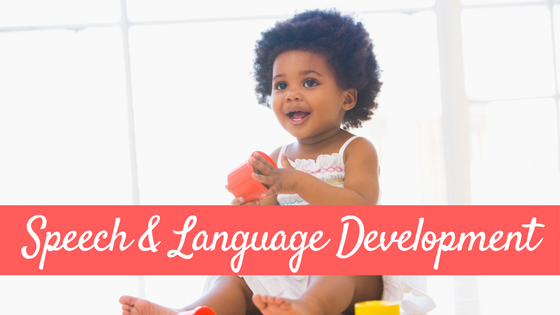 My four part series outline 20 toys I recommend for young children and how they can be used to expand a child’s speech and language development. You can check out part one HERE, and at the bottom of each part are links tp the other three parts (This also happens to be my most viewed post from 2012). Next, regarding the types of toys I do not recommend, I wrote this post entitled What your Toddler REALLY Needs to Learn. Check it out and let me know what you think. Then head over to Little Stories and read her great post Toys Do’s and Don’ts & while there also read her post about SCLANS and then come back and tell me…do you have a lot of a SCLANS? Tell me how you YOU shop for toys. Next…believe it or not more is not always better, especially when we are talking about toys. What I mean is, of you have a LOT of toys out at one time, you may notice your child is playing with each toy for only a short while and then moving on OR your child may be stuck playing on the same toys over and over even though your living room is FULL of toys! So what do you do? 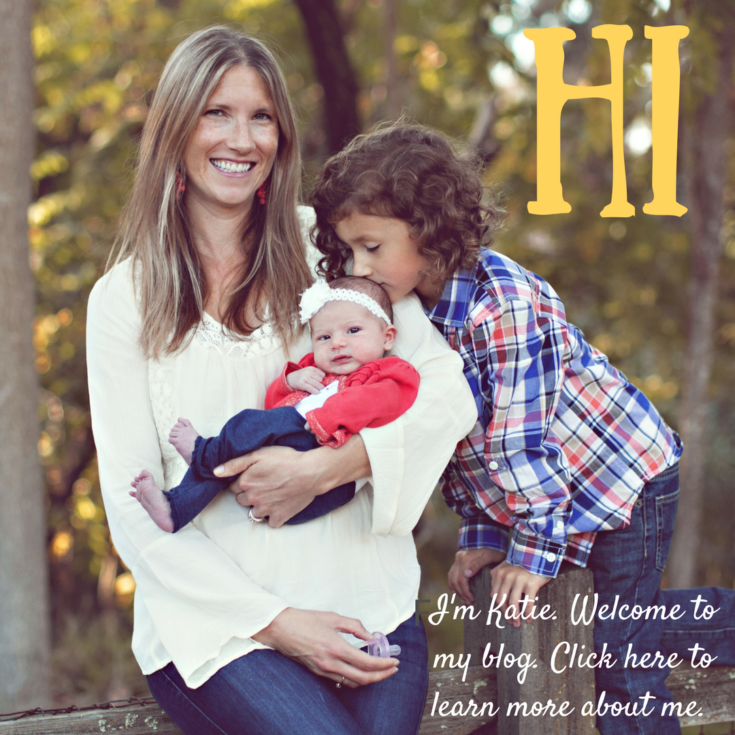 You head over and read Kim’s posts about Toy Rotations and then come back over and tell me…would you consider a toy rotation? Have you ever done one? Why or why not? First read Shopping in Your Own Closet and then How to Rotate Toys.